A fundamental aspect of Jack’s America-is-ending narrative is the idea of class warfare. Jack does not see this war as an economic one. Rather it is a war of ideology. There is a superior class, driven by the American Beast (a Contrabiblicism-Leftism hybrid). Since the 1850s, this superior class has waged a silent war against the inferior class — traditional, conservative Christian American culture. After many battles, the war is nearly won. Superior leftists are the victors, to whom the spoil — control of morality and values and channels of media — has gone. Rightists must retreat. Rightists must create their own institutions along the way to a new counterculture. But only traditional, conservative Christian American rightists. Certain groups of rightists are not allowed. I find each exclusion interesting in its own right. But one in particular is highly curious. I find this highly curious for reasons that will become clear later in this post. There are two important assumptions underlying Jack’s narrative here: First is his understanding on the existence of a “superior class,” which Jack himself credits to a neoconservative theory of a “ruling class.” The second is Jack’s constant reliance on a Marxist theory of cultural hegemony. Jack’s argument hinges on the validity of these two assumptions. And I find both of these assumptions problematic. I argued in my previous post that Jack’s narrative does not seem to make sense of the actual empirical evidence of America’s trajectory. I also pointed out that, even if empirical evidence did not match (and even if it instead contradicted) Jack’s narrative, Jack was upfront that he would not be persuaded to set aside that narrative. I think this admission of Jack’s about Codevilla helps understand why: what Jack has found convincing about his narrative is not whether or not it explains reality in general. What he finds convincing is how it explains his personal experience of certain phenomena. And the man that gave Jack the tools to understand his personal experiences of certain phenomena is Angelo Codevilla. So who is this person, and what did he say? Angelo Codevilla is a professor emeritus of international relations at Boston University. He served under President Ronald Reagan within the U.S. Department of State, focusing on Western Europe and matters affecting the U.S. intelligence community. He also dealt with U.S. intelligence as a U.S. Senate staff member. More important to the purposes here is not who Codevilla is, but what he is. He is, frankly, a Machiavelli-admiring neoconservative hawk. He is such “a good super hawk,” that “he makes many neoconservatives look like pacifists.” If you have strong political opinions, that description will either make you feel more or less favorably to him at first glance. If you are perhaps not up on foreign policy politics, though, that description might mean nothing to you. The purpose of my paper is not to argue politics, and it would be a distraction to argue about the nuances of foreign policy. But I shall say briefly that I have serious problems with respecting a Machiavellian warmonger who has favorable thoughts towards any forms of colonialism and imperialism. I also am going to be extraordinarily distrustful of such a person as well. Yes — to this man, opposition to U.S. state-sponsored terrorism is leftist and anti-American. This is the sort of nationalist extremist with which we are dealing. Codevilla even thinks that we should threaten to drone strike innocent civilians in order to put pressure on Islamist terrorist leaders. This is not an exaggeration. He believes “the prospect of sudden death” is a legitimate rhetorical device. Codevilla is so extreme that conservatives previously wanted nothing to do with him. Take Daniel Larison, for example. Larison is a conservative Christian and a senior editor at The American Conservative. As a conservative Christian, Larison considers Codevilla “wildly, intensely hawkish and hegemonist; he is one of those people who will bear the label imperialist as a badge of honour.” Which is a really bad thing in Larison’s mind. What is particularly interesting in relation to Jack’s paper is that Larison argues that no educated person “would ever confuse a Codevilla piece with anything relating to” true conservatism. But unlike Jack, Larison feels the true weight of the context in which Codevilla writes: a very context of American exceptionalism and greatness that borders on colonialism and imperialism. From what I have read, there seems to have been a general consensus among traditional conservatives that Codevilla is not one of them. Right-wing conservatives, however, adoringly embraced him because of two events, one in 1979 and one in 2010. In 1979, Gary North was doing what Gary North does best: spreading end-of-the-world narratives and making money off of them. Gary North is a disciple of R.J. Rushdoony, King of Christian Reconstruction. North married Rushdoony’s daughter and is widely considered the Prince and heir of Christian Reconstructionism. Most recently, he authored Ron Paul’s curriculum for Christian homeschool students. But North’s apocalyptic declarations all began in 1979. I will be moving out of Durham before the end of the year. Durham is too vulnerable, not to Soviet missiles, but to the emergency regulations that the Federal government plans to impose immediately after a nuclear attack. Years later in 1997, while North was drumming up paranoia about Y2K, North revealed that “Dr. X” was — you guessed it — Angelo Codevilla. And of course, by 1982 we did not enter the “most dangerous period” of our history. That is because a few things happened after August 1979 that Codevilla was unable to predict. These include: the Soviet Union invading Afghanistan in December of the same year to oust Hafizullah Amin, resulting in the end of Détente; Ronald Reagan inaugurated 40th President of the United States; and the drop in the price of oil, which brutally hit the Soviet Union’s economy. You know, just a few minor details. Codevilla thus went viral and no one knew who he was. As “Dr. X,” he not only went viral, he also made a false prediction that was perpetuated by Gary North. His next prediction was in 2010. And it was propelled into the public consciousness by Rush Limbaugh. 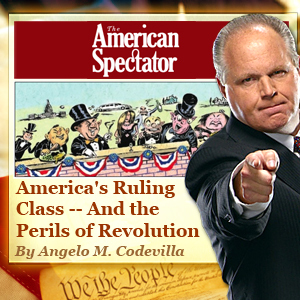 In 2010, Angelo Codevilla publicly rose to prominence in the conservative and Christian circles because of his essay for the American Spectator entitled “America’s Ruling Class – And the Perils of Revolution.” This essay was “initially catapulted to public attention by populist conservative radio-host Rush Limbaugh.” It was later expanded into a book (the one that Jack read and considered fundamental to his America-is-ending narrative), entitled America’s Ruling Class: how political elites hijacked America, published also by the American Spectator in 2010. In his essay, Codevilla took aim against “what he calls the ruling class of the government-supported elite.” Rightists (though not conservatives per se) in general found this highly inspirational. By “highly inspirational,” I really mean highly inspirational. This is almost exactly the same thing that Jack said about Codevilla. In other words, Codevilla’s words had the same impact on Jack Crabtree as they had on Gary North and Rush Limbaugh. Since writing about the Ruling Class, Codevilla has become a celebrity in right-wing circles. He has joined the ranks of notable culture warriors in promoting “conservative” causes. In 2010, Codevilla signed a joint letter in support of former Senator (and current president of Heritage Foundation) Jim DeMint and the Senate Conservative Fund. This letter urged people to give up fidelity to Republicans in general and pledge themselves solely to DeMint and his projects. This letter was also signed by Gary Bauer (Family Research Council), Joel Belz (WORLD Magazine), Erick Erickson (who recently called Wendy Davis an “Abortion Barbie”), Michael Farris (HSLDA), Troy Newman (Operation Rescue), David Noebel (Summit Ministries), and Larry Pratt (Gun Owners of America). Angelo Codevilla also signed another joint letter in 2013, joining the ranks of Tony Perkins, Phyllis Schlafly, and Rick Scarborough. Now that I have established a basic context in which to understand Codevilla and his thought process, let us look at what he actually argued in his essay (and later book). From there we can think about how his arguments might have influenced Jack and whether the arguments actually stand. Codevilla opens his essay by setting forth a particular interpretation of the bank bailout during the recent Great Recession. At first glance this general sketch of a ruling class and its sense of superiority seems something that is hardly deniable (though certainly we argue about the extent to which it is true). There is a sense in which Republicans and Democrats agree on many issues regarding governance and power. So if Codevilla was merely sketching the technocratic and oligarchic influences in our government, that would be one thing — and I fail to see how such a sketch would cause so much excitement about right-wing readers. Most everyone sees this (and sees it as a problem). 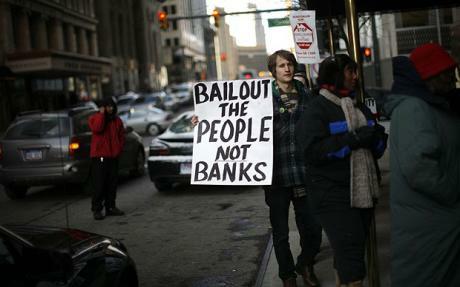 That is part of the public uproar over the bank bailout, I believe. But Codevilla is not content with sketching only the technocratic and oligarchic influences in our government. He wants to color in between the lines and push these influences away from conservatives and the right and towards centrists and and the left. This is seen as he begins to add more detail to what constitutes the ruling class. Key elements to the ruling class’ paradigm are some very specific ideologies: Darwin, Hegel, and Marx. In fact, Codevilla pinpoints as the origin of the ruling class the exact same ideologies as Jack does for the origin of the superior class. They also pinpoint the exact same beginning in time and space: the 1850’s. At this point Codevilla completely shifts gears from the elitism of a technocratic oligarchy (which was what he started with by talking about the bank bailout) and into a critique of progressivism. Which, mind you, is very different in essence from technocratic oligarchism — in the same way that conservatism is different. The point at which we are talking about the Scopes Trial and Christian fundamentalists is the point at which we are talking about neither technocratic oligarchism nor progressivism. Not to mention that, technically, the man who argued for the law that required teaching the biblical account of creation was considered a progressive at the time. This is conflation of three very different things. Yet Codevilla wants to do this: he wants to equate technocratic oligarchism with leftism/progressivism with anti-Christianity. The truly odd nature of Codevilla’s sudden shift into conservative Christian ideology is both confusing and alarming. So to unpack that: everyone who supported the 2008 bank bailout believes we are products of evolution and that all judgments are subjective. Also, everyone who supported the 2008 bank bailout is pro-gun control. Whereas everyone who opposed the bank bailout believe man is created in the image of the Christian God and holds to a theory of good and evil from the Enlightenment period. So there is a conflict between two groups of people. On the one hand there is this ruling class, made up of the Republicans and Democrats in power who think America is a work in progress. They are basically one and the same. They just want more power and more money and they think they are better than everyone else. On the other hand is the public, which resents the rulers for having a sense of superiority — and also resent the idea that America is not superior than the rest of the world. Did you get the strange tension in the second class? — America in general? Superior. The ruling class? So not superior. This makes sense since he originally argued that the ruling class was this Republican-Democrat hybrid of technocratic oligarchism. If that hybrid is the ruling class, then everyone else equals, literally, everyone. Who is not down with the current American form of technocratic oligarchism? Well, to name a few: liberals, conservatives, progressives, socialists, Marxists, Christians, atheists, Buddhists, black people, white people, and so on and so forth. But again, Codevilla conflates categories. If the country class includes all these people, then there is literally no way to define the class apart from its opposition to the ruling class. But he just starts throwing definitions out there. This class, he argues, opposes higher taxes, bigger government, “social engineering,” abortion, etc. Its “distinguishing characteristics” are marriage, children, and religion. This makes absolutely no sense whatsoever. Some of these things are truly non sequiturs. Abortion? Where did abortion come from? That has absolutely nothing to do with technocratic oligarchism. In fact, abortion is one area where Republicans and Democrats do have significant differences. So once you bring something like abortion into the picture, the concept of a unified ruling class falls apart entirely. So. Country class: Totally feels inferior. But absolutely knows America as a nation is superior. Ruling class: Totally feels superior. But absolutely knows America as a nation is a work in progress. The goals of the ruling class are many and specific: economic redistribution, the subversion of traditional and family values through culture wars, the undermining of parental rights and the advocacy of child protective services, and subtle rather than outright persecution of Christians (by making belief in God “uncool”). In contrast to the ruling class is the rest of the America, the “country class.” While supposedly vast and varied, this class has a surprising uniformity as well: opposition to bigger government, higher taxes, social engineering, and abortion. Its distinguishing characteristics are marriage, children, and religion. Because of these characteristics, it gets made fun of by the ruling class and thus it feels “inferior.” This class, despite including everyone opposed to the bank bailout, rarely votes for Democrats. 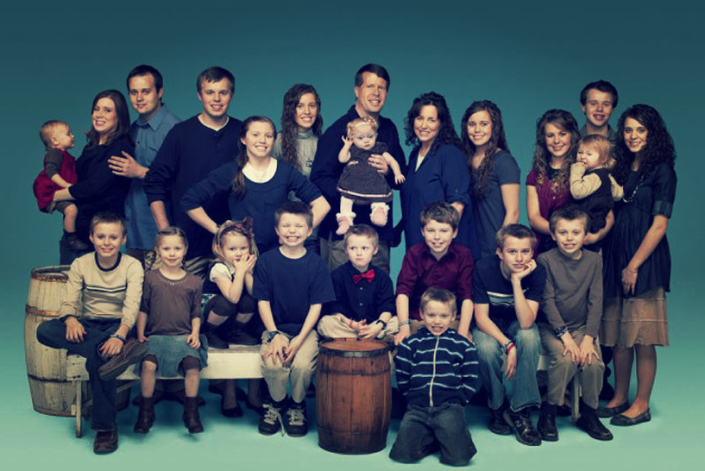 It also appears Southern and conservative, and its characteristic “cultural venture” is homeschooling. Homeschooling seems to appeal to this class because it aids in creating like-minded communities. Since this class is allegedly against gay marriage, abortion, and public education, this makes sense. This is Codevilla’s argument. More importantly, this is the argument that somehow “made sense” of Jack’s life experiences. I have two sets of problems with Codevilla’s argument. One set includes problems with how he constructs the argument. These are problems of accuracy, consistency, and logic. The other set is a singular problem, and it is a problem with the essence of the argument itself. Meritocracy cuts all ways, and Codevilla loses significant accuracy points by playing favorites with whom he classifies as part of the “ruling class.” Even conservative superstar Ross Douthat identified this problem in Codevilla’s narrative: “The meritocratic elite is not as left-wing, nor the ‘country party’ as principled in its conservatism, as Codevilla wants to believe.” A somewhat similar critique of meritocracy and technocratic oligarchism has been offered from the other side of the political spectrum by Glenn Greenwald. So here Codevilla loses significant consistency points. “The original metric gives us a better view of the hands grasping for the levers of power. The California farmer? What is he but the beneficiary of one of the largest – and long standing – subsidies found within the United States? The Texas oil man is hardly better; the oil industry is awarded some of the largest royalty reliefs offered by the federal government. And those evil humanities professors? There are not ten universities in the nation whose humanities and social science departments have not been downsized in favor of business, science, and tech over the last decade. And their funding? It too comes from the taxpayer’s pocketbook. Codevilla is right in this: that the halls of power are less demarcated than simple identity politics want to suggest. When power shifted from the Republican Bush administration to the Democratic Obama administration, for example, many have pointed that neoconservativism — an ideology to which Codevilla is ironically an adherent — remained popular. But note, those are defined by him according conservative Christian values, not conservative values. Conservative values would invoke smaller government — in the same vein of libertarianism, which is originally what Codevilla seems to get promoting. But according to a libertarian analysis, the real problem in America today is the overvaluing of power — period. While that overvaluing is applicable to a wide variety of political perspectives and parties, Codevilla inconsistently claims “that cultural identity has as much to do with the membership and agenda of the Ruling Class as political and economic power—if not more” (emphasis added). Finally, Codevilla loses significant logic points. The sad part is that, in so overvaluing his own preferences and engaging in identity politics, he completely and ironically undermines what could have been a good point: that both Republicans and Democrats, liberals and conservatives, can be a part of the ruling class. Instead of taking that to its logical (and potentially insightful) conclusion, he just starts dousing the whole argument with nothing but culture war references. “There are dubious digs at Darwinism, glib legal arguments, and sweeping statements that do more to flatter right-wing resentment than to describe the world as it is.” In the end, that is what he is left with: fanning the flames of, rather than extinguishing, the culture war. I think this explains why “the article was initially catapulted to public attention by populist conservative radio-host Rush Limbaugh” and “the article was then widely commented and publicized in the blogosphere, primarily among radical libertarians, paleoconservatives and other ‘fringe’ elements of the conservative movement.” And yet “no major conservative outlet commented on it.” Libertarians, paleoconservatives, and all the “fringe” (read: not the Establishment) probably found it appallingly lacking in good analysis. Major conservative outlets probably understood that it was simply a screed. And the two people who loved it the most were Gary North and Rush Limbaugh — which, in my mind, is not a badge of honor. This mixed reception is really explained by the fact that Codevilla is pro-military, pro-Republican-establishment, pro-Machiavelli, pro-Plato, and pro-Lincoln. And I would like to point out something interesting: liberals and “Leftists” let Codevilla’s essay and book go without hardly any comment. The people that were most outspoken in their criticism of his essay and book were conservative Christian libertarians. Yes, it was the libertarians — and particularly the conservative Christian ones — that were taking Codevilla to task for his faulty thinking. And who is not allowed in Jack Crabtree’s Rightist counterculture? Libertarians. These are the problems of construction. But what is problematic about the argument’s core message? The essential problem with Codevilla’s argument is the neoconservatism. The argument — as constructed — inherently assumes that America is superior to the rest of the world, and that this superiority ought to the be the dominant system in world affairs and at home. The fact is, there will always be a ruling class, and that ruling class will always think of itself as on a different level than the ruled class: “There was never an age when the governing class thought themselves the equal of the governed: They’ve always thought themselves smarter and better.” And to say this does not apply to America’s Founding Fathers “not only grossly exaggerates the attitudes of the current elites but confuses the flowery rhetoric of our Founding elite with their actual attitudes.” The Founders were very clear about intentions to engage in various forms of social engineering, taxation, and expansion of power. The question is, therefore, not whether there ought to be a ruling class, but what that ruling class ought to be and what it should value. The neoconservative perspective advanced by Codevilla is very clear: we need to embrace American exceptionalism and superiority, and we need to imperialistically advance the values of the past — namely, White Protestant values. This was the dominant system that was put into motion during colonial America and continued to be privileged through the founding of the U.S. and through the 1850s, too. I would argue it continues to be privileged to this day. But whether or not you believe it ought to be privileged or not, you need to understand that Codevilla — as much as he rails against a sense of superiority by rulers — is simply upset that he perceives what those rulers consider superior is different from what he considers superior. So the basic objection I have to this ruling class/country class paradigm (and Jack’s superior class/inferior class paradigm) is that it is disingenuous. It is not an objection to the class warfare itself. It is an objection to the feeling of being on the losing side of the warfare. Now that we are talking about ruling classes and which side ought to be superior, that brings us to the next foundational assumption of Jack’s paper. 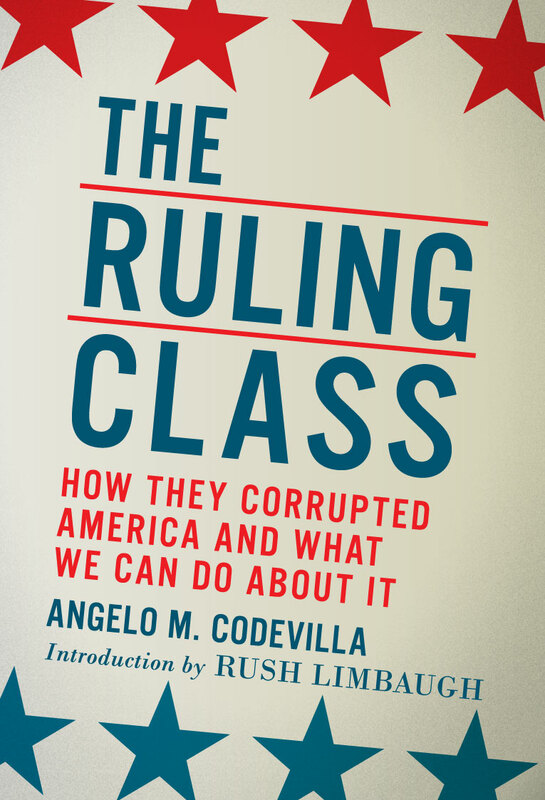 Both Codevilla’s argument for the ruling class as well as Jack’s argument for the superior class rest on the same thing: that the current system of dominance dictates the worldview of the people. And once we are talking about ruling and superior classes and systems of dominance and dictating world views, we are talking about Marxism. This brings us directly to Antonio Gramsci.